Welcome to the world of Wiki. I started this Wiki Asp project in the early 2003 as a fascination to the wiki concept and since then I tried to improve the program while keeping it as simple as possible ,avoiding over-bloated code. Based on Aspwiki, the Wiki Asp is one of the easiest and most effective wiki programs available for free. I now maintain the code on this site so that others may also try it. Please send comments to my mail because I'd love to know about your experiences with this wiki. >>Hope you'll like and enjoy my Wiki Asp. Runs in your computer under command line. This is a self-contained server which runs on Windows. Read the Description of this program at the c2.com site. I wrote it in C++ as my personal wiki. 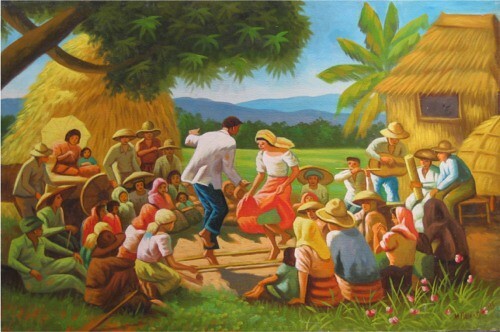 **The beautiful painting on above depicts our peasant people dancing the 'tinikling' (bamboo dance).